Starring Gillian Anderson (X-Files, NT Live: A Streetcar Named Desire) and Lily James (Mamma Mia! 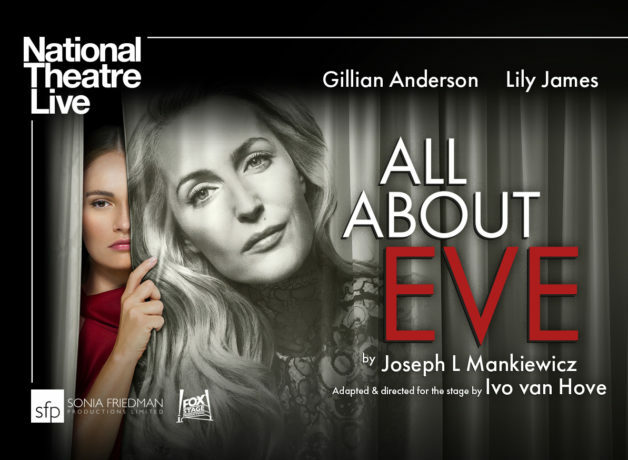 Here We Go Again), All About Eve is adapted by Ivo van Hove from the 1950 Twentieth Century Fox film by Joseph L Mankiewicz and the play “The Wisdom of Eve” by Mary Orr. Ivo van Hove directs this new stage version with set and lighting design from Jan Versweyveld, costume design by An D’Huys and music from double Mercury Prize-winner PJ Harvey, alongside Tom Gibbons’ sound design. Casting is by Julia Horan CDG. Please be aware the screening on Mon 17 Jun is an encore.